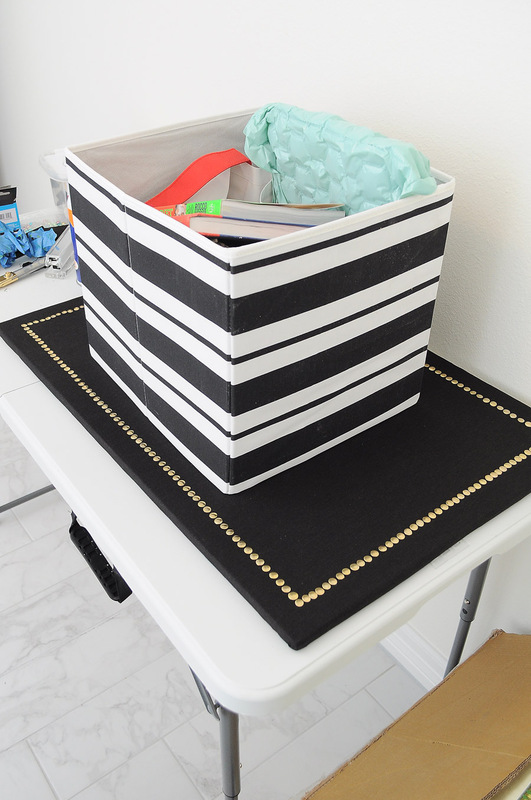 I’m so excited about today’s Dollar Store DIY tutorial post! I enjoy these monthly challenges hosted by This Is Our Bliss because I get to be thrifty and creative. 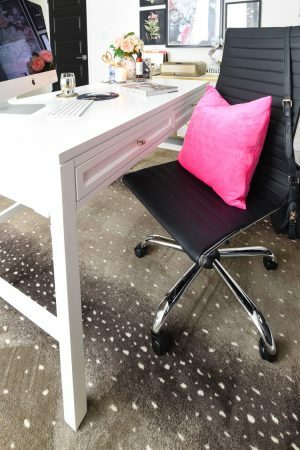 As you all know, I recently refreshed my office and I was looking for a simple and chic cork or memo board. I finally found one, but it was over $186+ at a store…we’ll call it Hesitation Hardware. I knew I could DIY it for much, much less. So, I did. Now, I’ll preface this by saying I got 95% of the supplies at the dollar store, but the one item I couldn’t find at the dollar store was black linen. The one I loved from RH had black linen fabric, so I took my trusty coupon to Joann’s and bought a yard for $7, tax included. One yard makes two of these boards, so the cost per board is about $3.50. My local Dollar Tree didn’t have mini cork boards, which was my original plan, so I had to get a bit creative and that’s when I spotted the PERFECT item…black foam core board. I chose black because linen naturally is a bit see through, and this way there’d be nothing peeking out like there would be had I chosen a white foam core board. If your dollar store only has white foam core board, just get some cheap black craft paint and paint it. Doesn’t have to be flawless. I ended up using three foam core boards so that the pin wouldn’t stick out the backside, plus I wanted this to look beefy from the sides like a real cork board would. 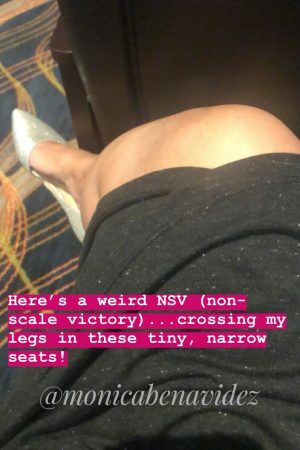 I also used gold push pins to mimic the look of nailheads, and I am in love. But before I digress too much, let’s gather our supplies. I am fairly confident 99% of those items can be found at the dollar store, with exception of black linen fabric. The rest are common crafting/DIY supplies. 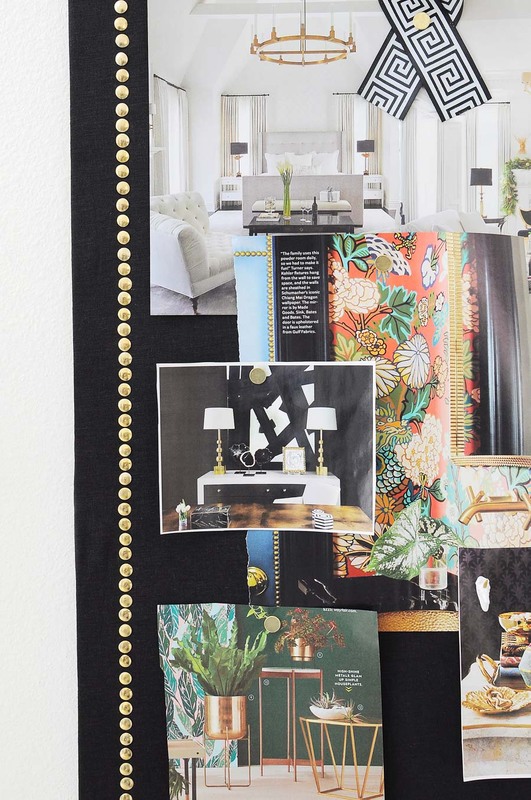 And now, let’s make this $180 linen memo board for about $8-$10. 1.) 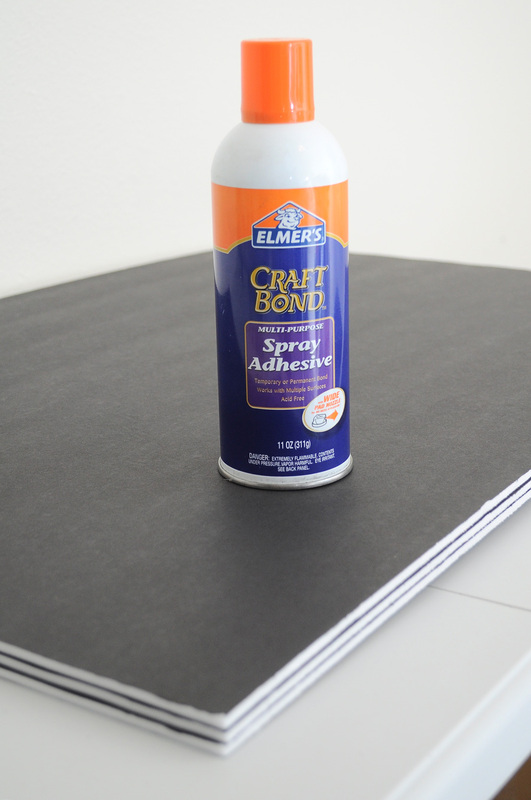 Take your spray adhesive (or glue stick or hot glue gun) and glue the boards together so they are flush. 2.) 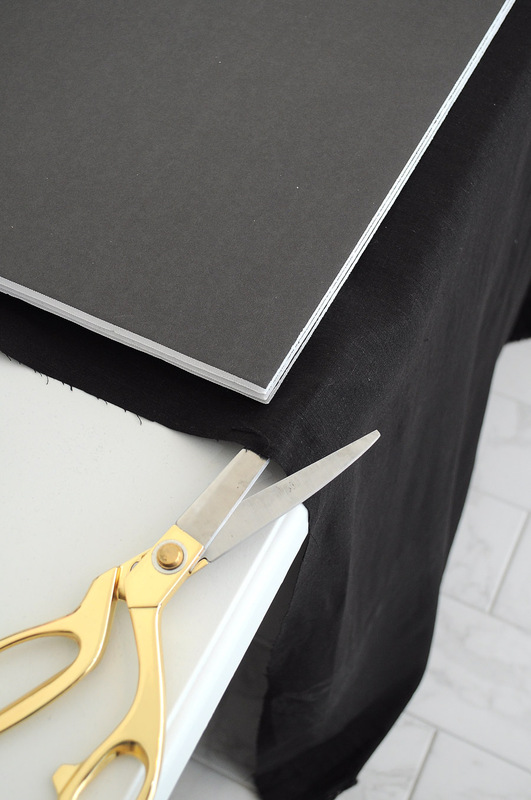 Steam/iron your fabric to get the wrinkles out, and cut to fit the size of your foam board stack, plus about 1-2″ on each side to allow enough fabric to wrap around and staple. 3.) Wrap the fabric around and staple it to the back. A normal stapler would totally work, but mine doesn’t unhinge to staple flat so I used my staple gun. Either works, I promise! 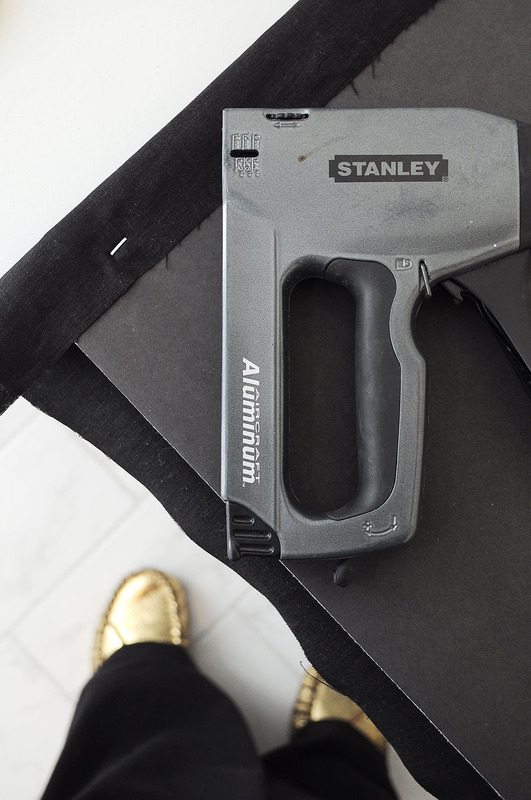 If using a staple gun, make sure your staples aren’t too long. Excuse my gold slippers. 4.) 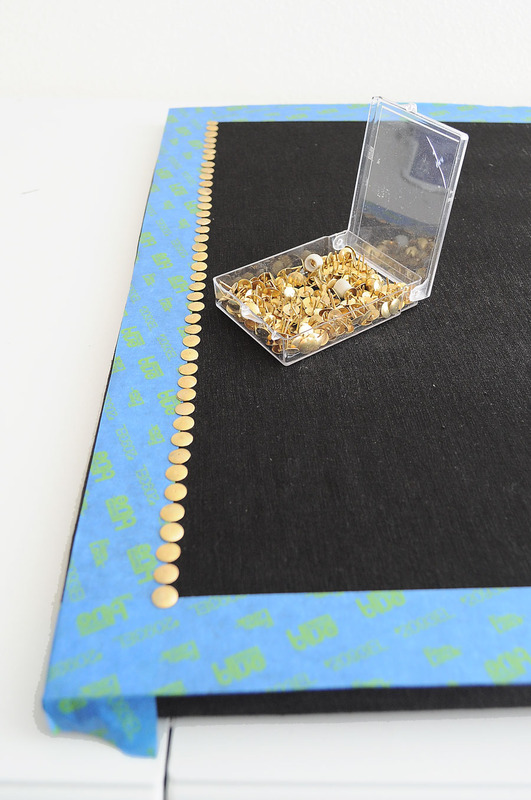 Place painter’s tape along all four sides of the board– this will give you a straight line as a guide so you can place your faux nailheads (gold push pins). Then, start placing your push pins in a straight line, side by side. This part takes awhile, not going to lie, but it’s over in about 10-15 minutes. 5.) CAREFULLY pull the tape off by pulling it towards you. If you lift up, you’ll end up dislocating all your push pins, so pull tape towards you, do not lift it straight up. 6.) If your board curves a bit, place a heavy basket or a stack of books in the center to help flatten it out. I left mine like this over night. 7.) 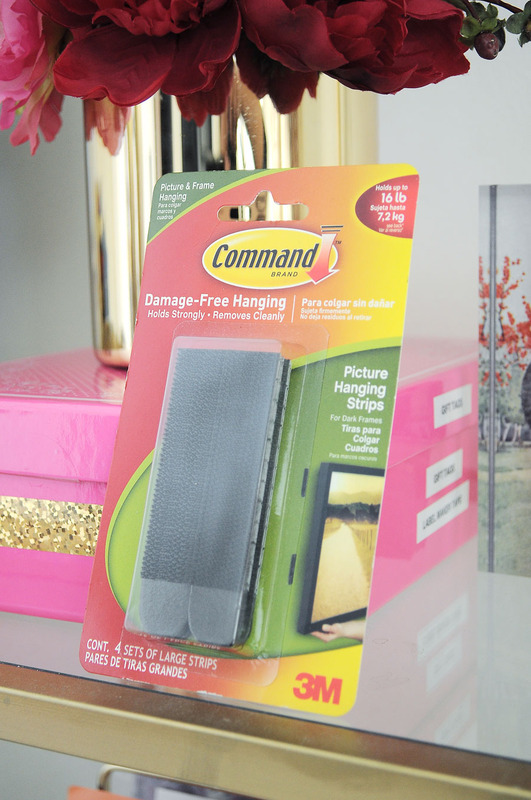 Place the velcro Command picture hanging strips on the back and follow the directions to place on the wall. I used four of the black velcro strips for large frames. 8.) Step back and pin stuff to your heart’s content. I love how this memo board looks in my office. Currently it’s my visual inspo board for my upcoming master bedroom makeover. Well, it’s basically just bare since we moved in, so I don’t know if it really counts as a makeover. I didn’t end up using the entire yard of linen fabric, so I’ll actually be making a second one of these! All I’ll need to buy is three more foam boards and some gold push pins- under $5 or so. I simply love inexpensive DIY’s that make an impact and are useful. 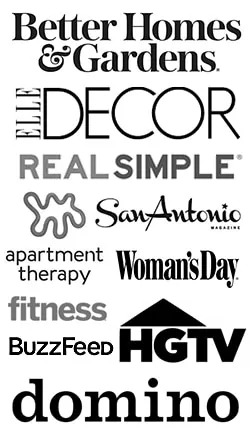 Once again my blogger friends have also come up with dollar store DIY’s to share, so make sure to check out their projects linked below. 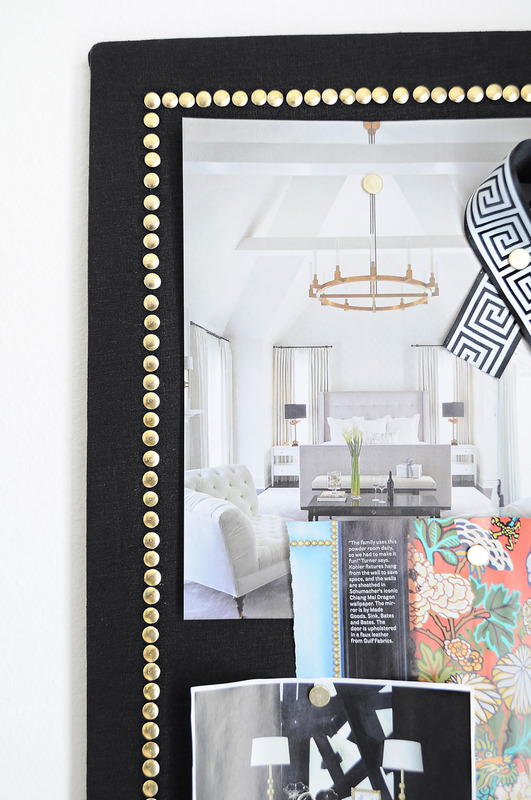 What do you think of this DIY dollar store project? Will you give it a try? 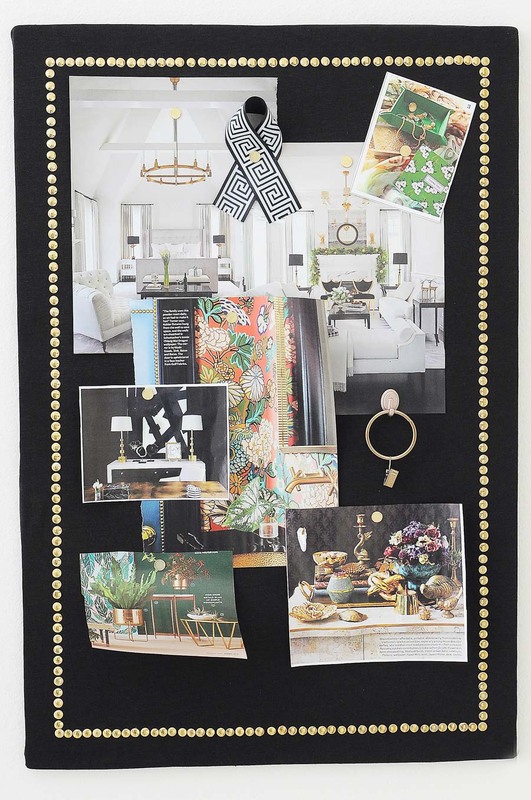 This board looks so chic, I love the black and gold. Even better that is all came from the Dollar Store. Your inspiration photos are beautiful too! 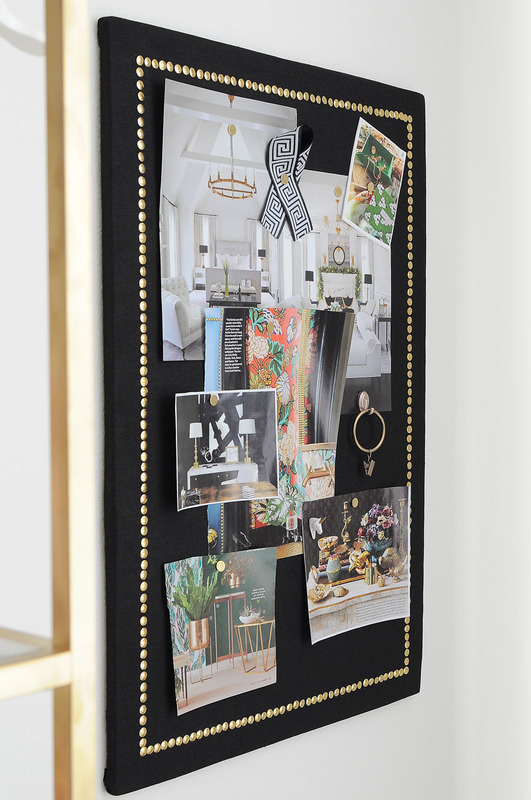 Love your memo board, Monica. It would look great anywhere! Like the black and gold, useful and elegant! 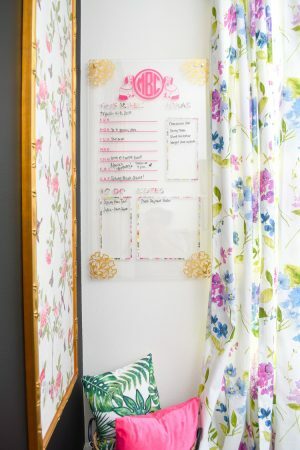 SUCH a fabulous DIY! 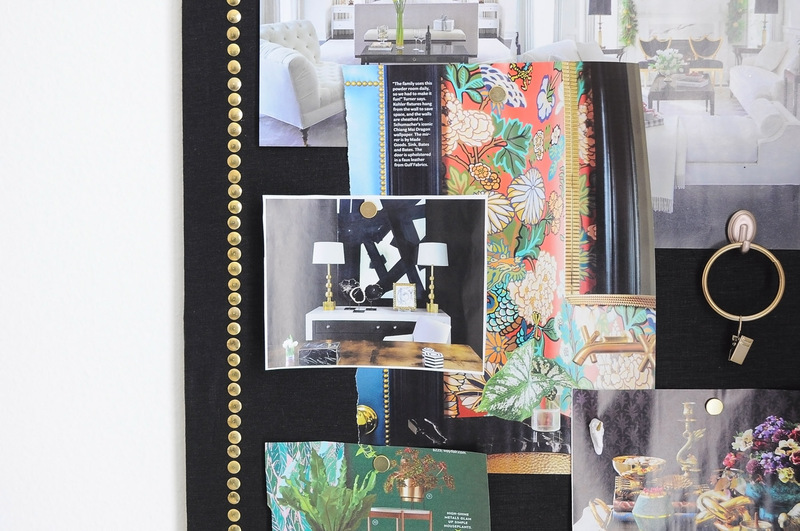 I would never have thought to use foam board as a cork board! And those gold pins on that black linen is perfection! Beautiful job, Monica!